The 7th Annual Delta Tea is back! 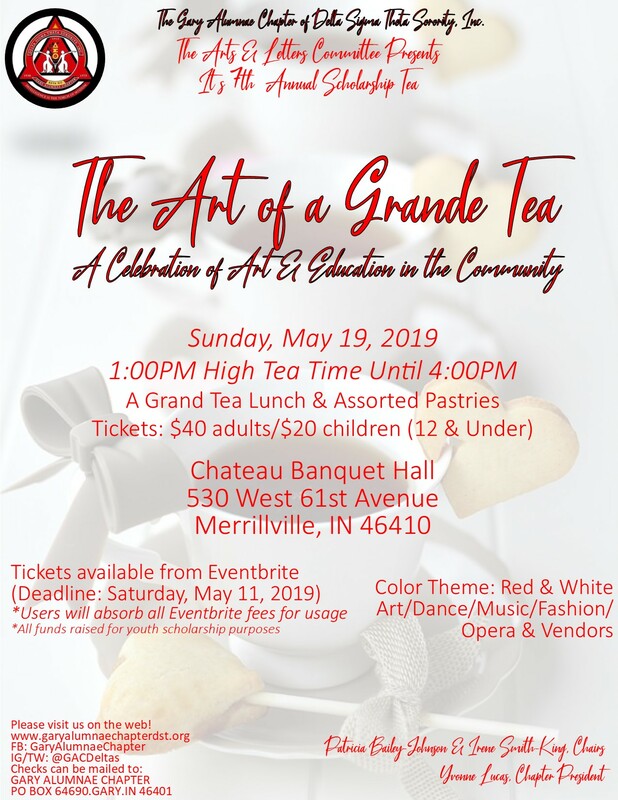 “The Art of a Grande Tea” A celebration of art and education in the community will celebrate a plethora of arts and education in a high tea environment. Art, dance, music, fashion, opera and vendors will be showcased. All proceeds will benefit the GAC Scholarship Fund to aid youth in their collegiate quests.